It’s time to stop running and take a stand…for love. Former boy-band singer CJ Taylor is starting a new life. His stalker is behind bars, he’s taken back his birth name, and he’s bought a house in a small Vermont town. As Cody Brennan, he finally feels safe and wants to write new music and forget about his tragic past, but an accident nearly ruins everything. Florist Megan Campbell is horrified when a stranger, covered in blood, collapses in her shop. Cody’s erratic behavior startles her at first, but as he recovers she becomes very attracted to him. Her family thinks she should curb her feelings, and worries about her safety—but she worries about her heart. From her amber eyes to her tempting smile, Megan is everything Cody promised himself to avoid. The more he gets to know her, the more he wants to stay. When his past begins to catch up to him in the form of violent threats, will they stay safe long enough to fall in love? This is a sweet, small town, hearts and roses romance. The first book in a series about Stanford, a picturesque small town in Vermont, this is the story of a runaway boy band member and the local florist. The setting is quaint, the characters are quirky and charming, and the story is very sweet. Cody had my attention the moment he arrived bearded and bloody in Megan’s shop. The traumatised recluse is fascinating and ultimately very loveable. I loved his secrets and his ultimate vulnerability. However, as a reader of a certain age, there were times I struggled to see a boy band singer as a serious leading man. While Cody is a very complex character, there were times that Megan felt very lightly sketched. She is developed against her large extended family but I never felt her develop into a unique character on her own. A slightly creepy stalker story runs parallel to the central romance, adding tension and excitement to an otherwise quite ordinary romance. I enjoyed the suspense element of this story very much. I love RJ Scott’s m/m books so I had to try her first m/f. I have to admit that I’m sadly a little underwhelmed but my usual reservations about m/f romance may be clouding my judgement. There are too many m/f clichés here. Megan is the nice girl contrast to the loose women groupies Cody is used to. She is protected by Alpha male family members; she panics about being single at 25. I had hoped that a favourite m/m author who usually writes stories about equals could avoid the irritating gender stereotypes so common in m/f romance, but this is just too traditional and too sweet for me. I’m leaving my star rating at 4 because this is a well-crafted story and my reservations are all about personal preference. There are some interesting characters in Stamford and I’m still eager to see how this series progresses. Full time romance writer Rozenn Scott creates passionate love stories with a guaranteed happy ever after. Her series of novels, set in the beautiful Vermont town of Stanford Creek, focus on strong, independent women who find love. 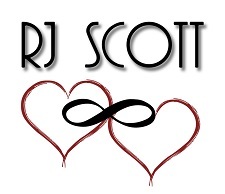 Reviewers on the Wicked Reads Review Team were provided a free copy of Notes & Roses (Stanford Creek #1) by RJ Scott to read and review.